Submitted by stephen on May 4, 2010 - 19:50. 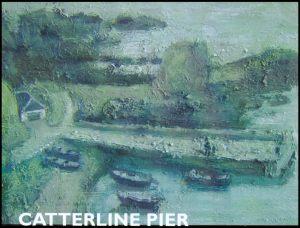 The first meeting of the provisionally entitled "Catterline Rowing Club" was held at the Creel Inn last Sunday, and the from the seven people attending, plus offers of support from several others who could not be there on the night, it was clear that there is enough interest to make the project viable. Consequently, it was agreed to go ahead and build a boat! There is currently nowhere to build the boat - a St Ayles Skiff - but Rob Plummer is planning to demolish and rebuild his barn at Gallaton. In the absence of any other location becoming available before then, the plan is to start building the boat there in Autumn, which would hopefully mean that it could be launched in spring 2011. In the mean time there is still a lot of preparation to be done and you can follow the progress on the in our Coastal Rowing section. If you are interested in getting involved in this exciting new community project, please get in touch with rob or email rowingskiff@catterline.org. Submitted by stephen on January 30, 2010 - 13:42. There will be an informal meeting to discuss next step in Catterline Coastal Rowing Project in the Creel Inn, Sunday 24th Jan at 8pm. All welcome. Submitted by stephen on January 20, 2010 - 14:07. 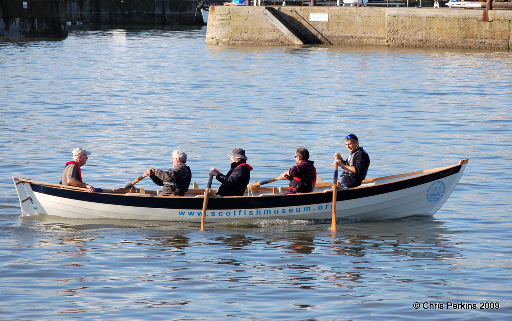 There is an initiative to revive rowing amongst Scottish coastal communities. In days gone by, there were regular races between communities. This initiative is encouraging local groups to build their own boat. How good would it be, to see a Catterline boat racing against other North East communities, with races for youth, elite, ladies and veterans. Submitted by stephen on January 20, 2010 - 14:03.